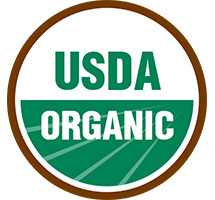 We are proud to announce that BCFoods has recently been certified for USDA Organic Production! Please contact your BCFoods Sales Manager for the latest information on our product line additions, availability, specifications, and samples. What does this mean for BCFoods? To meet the increasing demand for organic products, BCFoods now possesses the ability to produce, store, and sell organic ingredients via our Bolingbrook, IL organically certified factory—further expanding our list of products and exclusive items. Our customers will continue to have the ability to purchase a vast variety of conventional ingredients from BCFoods and now a portion of those ingredients may also be available with an organic option. We look forward to exceeding our customer’s expectations while continuing to meet the market’s ever changing needs.